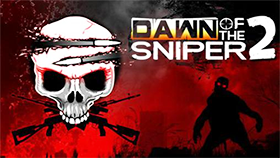 You are a shooting enthusiast and are looking for shooter games. If so, you should join now the Boxhead Nightmare game. 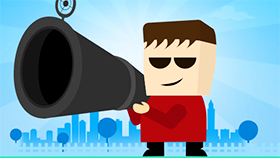 Boxhead Nightmare is a shooter game with a variety of weapons and a variety of regional maps. In the game you will transform into the Bambo character and your mission is to destroy all the monsters and zombies to save the world. What makes Boxhead Nightmare stand out from other games? First, this game has very interesting and meaningful content to make players feel excited to continue to understand the content and subsequent developments of the game. Second, have you ever played a shooting video game with great choices in the weapon department? Boxhead Nightmare has a variety of weapons for you to choose and upgrade. You can earn money by destroying the zombies after the battles and upgrades you desire to increase power. Third, there are many levels and map areas for you to fight with many zombies with different levels and difficulty levels. Above all, Boxhead Nightmare is a great shooting game that you should not miss. Have fun! You can unlock new characters, weapons and levels.Kill as fast as many zombies you get more points to upgrade weaponsShoot on drum barrels to cause an explosion. Freegames66.com is where you can access when you need to play Boxhead Nightmare Unblocked. Check out the site and play the game now!